I'm also working on lots of different card projects trying to finish up many, some very late in completing. I've been wanting to play along with The Daily Marker's 30 Day Coloring Challenge and I finally got some coloring done! So I'm sharing the card I made with the colored pieces. I love this faceted cover plate by Lil' Inker Designs because it has a hidden heart in it that you can emphasize. 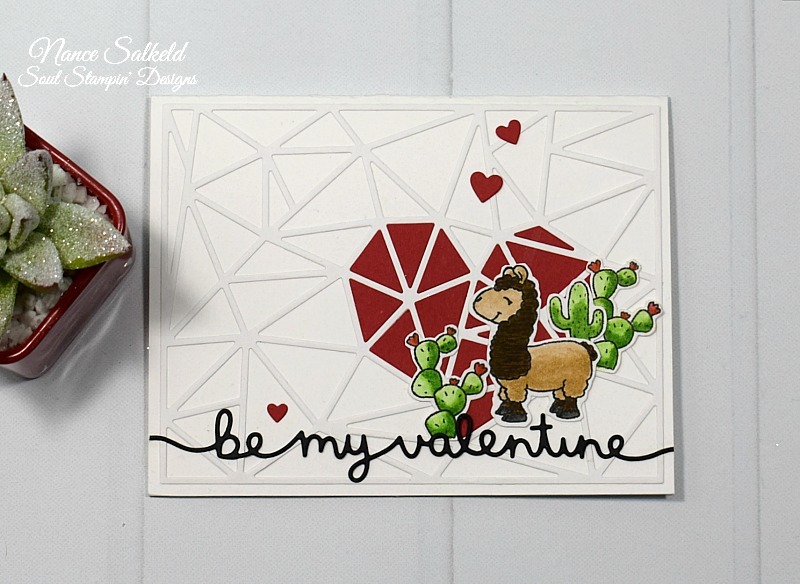 Also, a friend of mine wanted an alpaca valentine card so I used the Gerda Steiner llama set. Did you know alpacas and llamas are actually very different? So I chose the llama that best resembled an alpaca. After I finished of course, I thought of the phrase, "Alpaca my heart and send it to you", which would have been perfect. So I'll have to make another one and use it. STAMPS: Llama & Cacti "Llama Tell You" (Gerda Steiner). PAPER: Neenha white cardstock; Bristol smooth cardstock (Swathmore). EXTRAS: Sentiment die (Lawn Fawn); Facet cover die (Lil' Inker Designs); Heart dies (Sunny Studio). The heart embedded in this fun die cut is amazing! And it's perfect for highlighting the llama/alpaca! Have a fun Super Bowl Sunday! Hope you can stay inside where it's dry! Wow! Such an interesting card. Love all the texture and unique details. The coloring on the cactus looks awesome. So glad you shared your creation surg us at Casual Fridays challenge. Beautiful! Love the design! 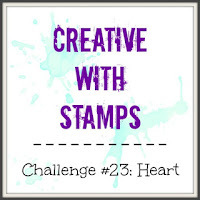 Thanks for joining us over at Creative With Stamps Challenge. New Challenge! New Designer Gig! Paper Sweeties February Blast From The Past!